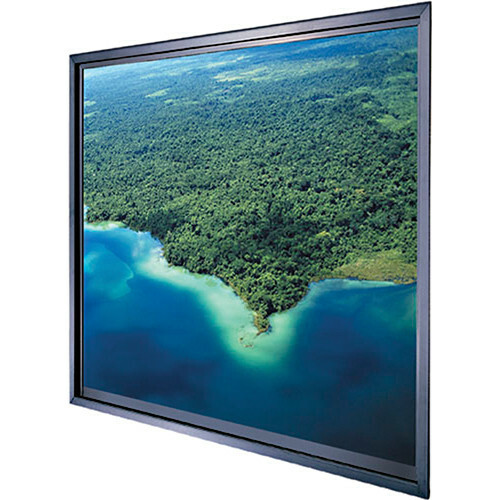 The 72 x 96 x 0.4" Polacoat Da-Glas In-Wall Video Format Rear Projection Diffusion Screen with Self-Trimming Frame from Da-Lite is made with a clear float glass substrate that is flat, rigid and provides maximum sound isolation. This screen requires precise installation specifications since the choice of image size depends on how much in-wall space is available. The screen size and frame should be determined by a contractor or site manager based on the facility's dimensions and limitations. The Self-Trimming Frame eliminates the need for any finish trim in order to expedite installation. It has a built-in 1.5 x 4.3" wide molding to hide the opening. The frame insert size equals the screen viewing area plus 2.9". The frame has a black anodized finish. Box Dimensions (LxWxH) 107.0 x 87.0 x 30.0"